It goes without saying that weight loss is hard. People always argue, even the experts, about what roles diet and exercise play in losing weight — or in the inability to lose weight. Just about everyone acknowledges that it’s possible to lose weight through diet alone, but just about everyone also agrees that’s not especially healthy. If you’re dieting without exercise, you’re not only losing fat, you’re losing muscle and bone density. Exercising stimulates your muscles and bones, prompting them to strengthen. 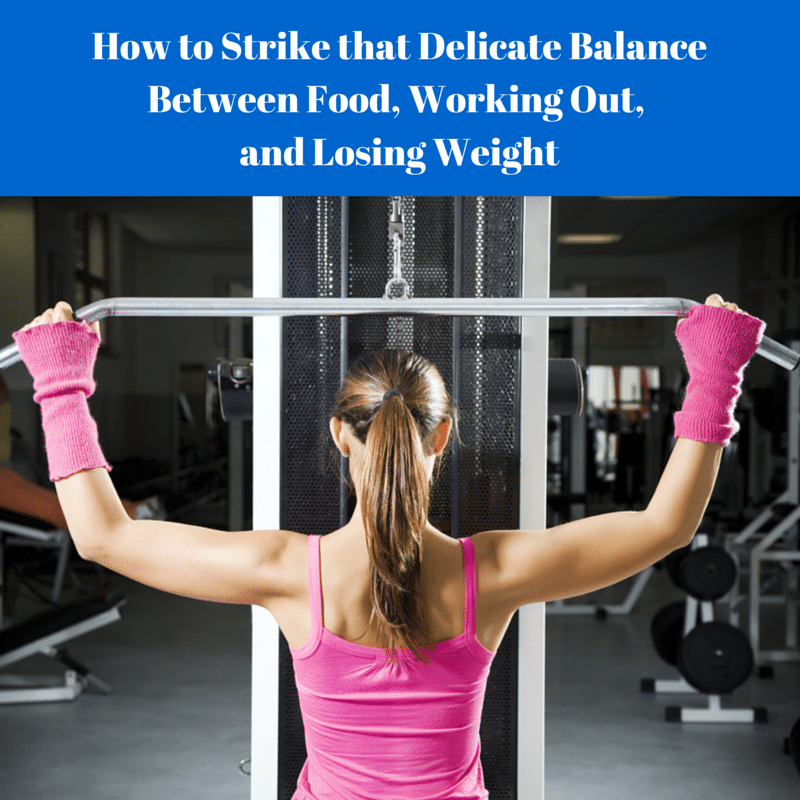 This may decrease your weight more slowly, because muscle weighs more than fat, but once you strike the proper balance, you’ll definitely start noticing the difference in how your clothes fit or when you look in the mirror. Exercise doesn’t have to be heavy — some brisk walking for 45 minutes, five days a week, is plenty. Dieting can actually be the more difficult component. It is much easier to simply cut excess calories from your diet than to burn them off, but as we all know, that’s more easily said than done. A good calorie count is around 10 calories per pound. That’s a good balance for losing weight, even with little exercise. It helps if you have something to take the edge off your hunger, when you’re craving more calories, like a protein bar. Exercise is often taught to be the key to weight loss. The more important thing is what you eat. For instance, if you want to cut three hundred calories from your diet, you can either run for 3 miles — or not eat 2 ounces of potato chips. As mentioned above, both tactics are required to lose weight in a healthy manner. You may burn fat and calories through exercise, but it can also stimulate hunger. Many people will eat something heavy after exercise because their appetites have been ramped up. Unfortunately, grabbing a cheeseburger as a reward for a job well-done tends to put back on many more calories than were lost. For the most part, we tend to overcompensate for the calories lost in exercise. Another side effect from exercising without closely watching your diet is simply getting tired. If you’re tired, you’re naturally going to want to rest more, which means you’re not burning any calories. We actually burn a great many calories just doing our day to day activities. When we’re too tired from exercise, we engage in less of these activities and more of our food goes into calories we never actually burn. While what you eat is more important than how much (or how hard) you exercise, exercise still has important thing to contribute. That physical activity doesn’t just burn calories, it can also help repair an off-kilter metabolism. Studies from NASA show that after long periods of little activity, the metabolism becomes resistant to change. Exercise can get it going again, making it easier to burn calories. It may never run at peak efficiency again, but it can certainly revive from its sluggish state, just through some relatively minor daily activity. The metabolism in the reason why exercise is still needed to keep the weight off once you’ve reached your goal. It is extremely difficult to keep the weight off, especially because people slow down their exercise schedule and the metabolism also slows down, making it possible to gain more weight while still eating the same amount of food. The combination of an active metabolism and the calorie-burning effects of exercise make it much more likely that the weight you’ve lost will stay lost. There’s always some diet that’s the big new thing. You can ignore all that. Low fat, or low carbs, or whatever else you’re not supposed to eat doesn’t especially matter. You’ll always need some of all three macronutrients — carbs, fats, and protein in their proper proportions. Snacks like protein bars can help maintain the balance. The truth of the matter is that there’s no special diet that will guarantee weight loss, whatever the state of your metabolism. If you follow a diet you like, you will lose weight, so long as you stick to it. The real problem comes after weeks, months, or even years, when it becomes so much easier to cheat just a little more often. It’s important to follow that diet, exercise, and train your metabolism into keeping the changes you’ve earned.